The most innovative ideas that can augment your success. We are 100% committed to a partnership with the real estate community and will stand by and support you with the tools needed to grow your business. Our relationship development and marketing team have the resources available to boost your success. Give us the opportunity to introduce you to the most innovative ideas that can augment your success. 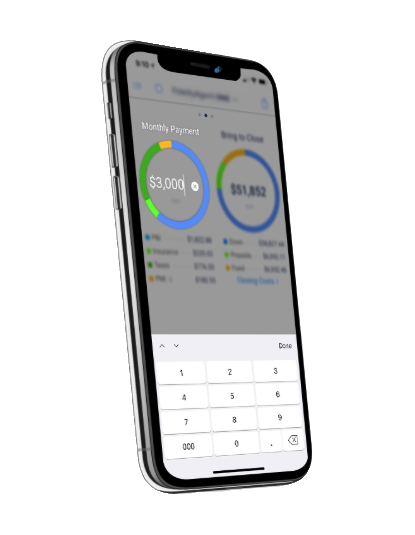 First AZ Title App is a real estate title and escrow settlement mobile app that provides quick and easy access to First Arizona Title Agency’s closing cost calculators which include, Buyer Cost Estimates, Seller Net Sheets, Arizona Title Premium Rates and Mortgage Payments. We want to help you better expand your business with the latest marketing tools and trends. With the help of leaders in the industry, we are able to provide you with a variety of classes that focus on how you can better build your business. Whether it’s through social media, farming, or anything else, we are confident that our classes can better prepare you to build your best business. First Arizona Title Agency is partnered with ALTOS Research in order to provide real estate agents with weekly reports that include the latest market trends, real time market profiles, and snapshots tracked from listings all throughout the valley. Use these market reports to better prepare yourself to navigate through the industry and better target your clientele, as well as inform your audience on the current market conditions. In order to better help you grow your business, we have a Customer Service team capable of pulling leads from Maricopa County and Pinal County with the ability to narrow down a search to any real estate agent’s needs. From entire subdivisions to property types to a radius search, we pull leads local agents all over the valley in order to help them expand their business! First Arizona Title Agency is committed to providing a complete understanding of the real estate process to agents and their clients. We want to help you better inform your clients and that’s why we provide you with Home Buyer’s Guides, Home Seller’s Guides, Purchase Contract Guides, For Sale By Owner Guides, and Phoenix Relocation Guides – all personalized with your branding for free! CLICK HERE TO VIEW OUR DIGITAL GUIDES. In order to help you grow your business, First Arizona Title Agency can provide you with the materials to promote your listings, your services, and your brand! Property flyers, just sold and just listed cards, and anything else you might think up. Our marketing team is capable of customizing our design to meet your needs.